4WD and large tires enable smooth maneuvering through uneven, steep, or wet ground. Adjustable blade cuts to trim or leave brush as high as 6 inches. Infinitely variable hydrostatic transmission enables smooth adjustments while maneuvering over uneven terrain. Air suspended seats help reduce fatigue after long hours of operation, absorbing subtle vibrations much better than a typical coil spring. Front and rear projector headlights for operation in low light. 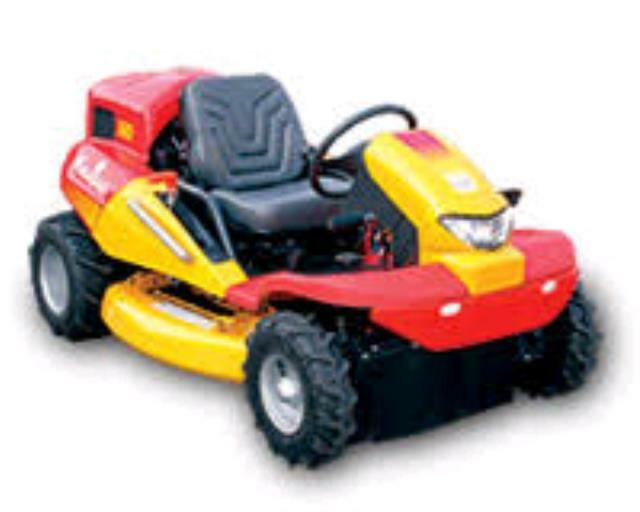 * Please call us for any questions on our ride on brush cutter rentals in Sonoma County CA including Santa Rosa, Rohnert Park, Sonoma, and Sebastopol California.